Categories, Types of Picture, Hierarchy of Paintings. 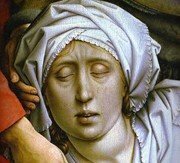  Why were paintings ranked? the High Renaissance genius Raphael. Paintings are traditionally divided into five categories or 'genres'. The establishment of these genres and their relative status in relation to one other, stems from the philosophy of arts promoted by the great European Academies of Fine Art, like the Royal Academy in London, and the influential French Academy of Fine Arts (Academie des Beaux-Arts). Religious, historical or allegorical work, with a moral message. Includes individual, group or self-portraits. Paintings whose principal content is a scenic view. An arrangement of domestic objects or everyday items. 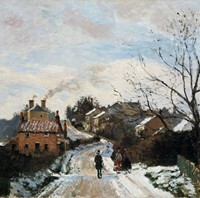 Lower Norwood under Snow (1870) National Gallery, London. the 19th century French School. This 'hierarchy of genres' was adopted as the main agenda for "academic art" because it reflected Italian Renaissance values about what was the 'best' or 'noblest' type of art. In Italy, where a great deal of art was commissioned by the Church for public display inside churches, large-scale paintings with a moral or uplifting message were considered the highest form of art. Whereas landscape and still lifes typically contained no humans and thus no moral message. This Renaissance ranking system, which formed the basis of the official "academic art" taught in European and later American academies of fine art, was not seriously challenged until the 19th century, despite the fact that the Old Masters of Northern Europe (that is, those living in Flanders, Holland, Germany, Britain and Scandinavia) developed quite different painting traditions and methods from those in Italy and Spain. For example, from 1520 onwards, Northern Europe rejected Rome and adopted the Protestant faith instead. 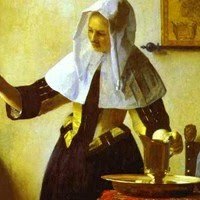 And since Protestant religious leaders totally rejected the idea of decorating their churches with expensive works of art, Northern artists were forced to turn to middle-class patrons, who wanted small scale paintings - portraits and still lifes, as well as genre paintings - to hang in their homes. This switch was further encouraged by the fact that the North European climate, being damper, was less suitable for fresco painting and more suitable for oil painting, which was the ideal medium for the detailed Dutch Realism style of art. The main reason why the ranking system became so unpopular among artists during the 19th century, was because of the way the system was applied. Academies (notably the French Academy) were conservative institutions who followed rigid, unchanging teaching practices, and insisted that all artists follow a detailed set of conventions (relating to theme, composition, colours, finish etc.) when creating a work of art. Penalties for non-conformers included exclusion from the Academy's annual "Salon", a fate which made it impossible to pursue a career as an artist. Furthermore, this unyielding approach to aesthetics made no concessions to new movements, such as Romanticism or Realism, or to developing genres such as landscape and genre painting. By the mid-19th century, debate raged between advocates of traditionalist academic art and their more open-minded critics. Traditionally the most-respected of all the genres, "history painting" is not limited to pictures depicting 'historical scenes'. The term derives from the Italian word "istoria", meaning narrative (story), and refers to paintings showing the exemplary deeds and struggles of moral figures. It includes Christian imagery involving Biblical figures, as well as mythological painting involving mythical or pagan divinities, and real-life historical figures. History paintings - traditionally large-scale public works - aim to elevate the morals of the community. Tempera and gold on wood, Metropolitan Museum of New York. Tempera and gold on wood, Siena Cathedral Museum. Fresco painting, Cappella degli Scrovegni, Padua. Oils/gold leaf on panel, Courtauld Institute, London. Oil on panel, Cloisters, Metropolitan Museum of Art New York. Gouache on vellum, Musee Conde, Chantilly. Oil on wood, St Bavo Cathedral, Ghent. Tempera on panel, National Gallery London; Uffizi Florence; Louvre Paris. Fresco painting, Santa Maria del Carmine, Florence. Fresco painting, Santa Maria Novella, Florence. Tempera on panel, Galleria Nazionale delle Marche, Urbino. Tempera on panel, Pinacoteca di Brera, Milan. Oil on panel, Muzeum Narodowe, Gdansk. Oil on panel, National Gallery, London. Oil on wood, Uffizi Gallery, Florence. Tempera on poplar panel, Uffizi, Florence. Tempera on canvas, Uffizi, Florence. 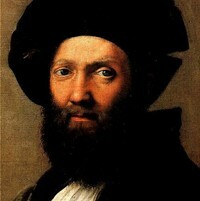 Oil on panel, Louvre, Paris. Mixed media/oil and tempera, Convent of Santa Maria delle Grazie, Milan. Oil on wood panel, Unterlinden Museum, Colmar. Fresco painting, Ceiling of Sistine Chapel, Rome. Fresco painting, Altar Wall of Sistine Chapel, Rome. Fresco, Stanza della Segnatura, Vatican. Oil on canvas, Gemaldegalerie Alte Meister, Dresden. Oil on panel, Pinacoteca Apostolica, Vatican. Oil/panel, Saint Maria Gloriosa dei Frari, Venice. Oil on oak panel, Gemaldegalerie, SMPK, Berlin. Oil and tempera on canvas, National Gallery, London. Musees Royaux des Beaux Arts, Brussels. NOTE: See also: Best History Painters (1400-present). Portrait art includes pictures of people, deities or mythological figures in human form. The genre includes group-portraits as well as those of individuals. A portrait of an individual may be face-only, or head and shoulders, or full-body. Academic portraiture is executed according to certain conventions, concerning dress, the position of hands and other details. This genre was practised by artists of almost all movements, typically in a true-to-life or 'realist style. Ninteenth century portraits also mirrored the realist style of the day, while later we see a number of fine Impressionist portraits, along with even more colourful Expressionist portraits, including the portraits painted by Picasso. Oil on wood, National Gallery, London. Oil on panel, Czartoryski Museum, Krakow. Oil on wood, Louvre, Paris. Oil on panel, Galleria Palatina, Pitti Palace, Florence. Oil on canvas, Mauritshuis, The Hague. Oil on canvas Rijksmuseum, Amsterdam. Oil/panel, National Gallery of Art, Washington DC. NOTE: See also: Best Portrait Artists (1400-present). NOTE: Painters noted for their "self portraits" include: the German Renaissance artist Albrecht Durer (1471-1528), the Dutch genius Rembrandt (1606-69), the tragic 19th century expressionist Vincent Van Gogh (1853-90), the short-lived neurotic Austrian prodigy Egon Schiele (1890-1918), the moody German painter Max Beckmann (1884-1950) and the contemporary Anglo-Irish artist Francis Bacon (1909-92). "Genre painting" or "genre-scenes" refers to pictures that portray ordinary scenes of everyday life. Subjects include domestic settings, interiors, celebrations, tavern scenes, markets and other street situations. Whatever the precise content, the scene is typically portrayed in a non-idealized way, and characters are not endowed with any heroic or dramatic attributes. The foremost example of this category of art was the school of Dutch Realist Genre Painting of the 17th century. Oil on oak panel, Kunsthistorisches Museum, Vienna. Oil on canvas, Rijksmuseum, Amsterdam. Louvre, Paris; and Charlottenburg, Berlin. NOTE: See also: Best Genre Painters (1600-present). The term "landscape painting" comes from the Dutch word 'landschap', meaning 'a patch of ground', and denotes any picture whose main subject is the depiction of a scenic view, such as fields, hillscapes, mountain-scapes, trees, riverscapes, forests, sea views and seascapes. Many famous landscape paintings include human figures, but their presence should be a secondary element in the composition. Landscape as an independent genre was pioneered by the 17th century school of Dutch painting, and later developed by the likes of Constable and Turner of the English school of landscape painting, who also pioneered outdoor painting. The latter was mastered by Theodore Rousseau, Millet and other members of the Barbizon school of Landscape Painting, who were active around Fontainebleu south of Paris. In Russia, meanwhile, landscape painting was taken up by the Wanderers Art Movement, and then in France by the world famous school of Impressionism led by Monet, Renpir, Pissarro and Sisley. Note: For an explanation of modern landscapes by Monet, Turner and the like, please see: Analysis of Modern Paintings (1800-2000).  Water Lilies (1903) Art Institute, Dayton, Ohio. NOTE: See also: Best Landscape Artists (1600-present). 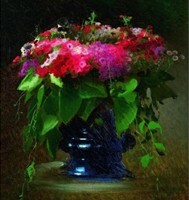 A "still life painting" typically comprises an arrangement of objects (such as flowers or any group of mundane objects) laid out on a table. It derives from the Dutch word 'Stilleven', a term used in 17th century Dutch painting to describe pictures previously entitled 'Fruit' or 'Flower Pieces'. A form of still life painting that contains biblical or moral messages, is known as Vanitas painting - as practiced by exponents of Dutch Realism like Harmen van Steenwyck (1612-56), Pieter Claesz (1597-1660), Jan Davidsz de Heem (1606-83), Willem Kalf (1622-93) and Willem Claesz Heda (1594-1681). Metropolitian Museum of Art, New York. Oil and magna on canvas, Philadelphia Museum of Art. NOTE: See also: Best Still Life Painters (1600-present).  For more information about the traditional classification of paintings, see: Homepage.